Acne is an inflammatory skin condition characterized by swollen red breakouts that appear on the face, neck, back, and chest. When dirt, oil, makeup, dead skin cells, and other toxins clog the pores, bacteria thrive, and cause blemishes. Acne is caused by stress, poor hygiene, poor diet, hormonal imbalances, and certain medications. 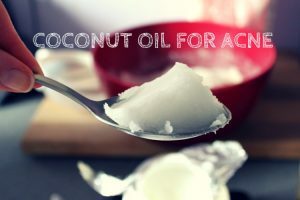 There are many treatments available in the market but the use of natural home remedies to treat acne are the most effective, especially the use of coconut oil. Can Coconut Oil be Used to Treat Acne? Coconut oil is completely natural and helps to preserve healthy skin and enables correct functioning of the sebum glands to clear any blockages. It is a rich source of capric acid, caprylic acid and lauric acid which gets converted to monocaprin and monolaurin, a type of acidic shield that are formed on skin to combat with acne. It is a rich source of Vitamin E that keeps the skin healthy and clear. It has vitamin K that supplies potassium nutrients, forming a protective layer. It has anti-inflammatory qualities helps to reduce the inflammation. It has anti – bacterial, anti – microbial and anti – fungal properties that help to destroy the acne causing microbes. It is a rich source of vitamin A that stops the skin from shedding early, leaving underdeveloped cells that are exposed to microbes and other toxic substances. When consumed, the oil helps to improve the metabolism, which improves circulation and indirectly helps in regulating the release of hormones that trigger off the extra production of sebum. This oil helps to reduce scars and repairs damaged skin. It is a great source of fatty acids like Lauric fatty acid that has anti – bacterial and anti – inflammatory properties. Capric acid also combats P. acne to reduce acne along with moisturizing the skin. It is rich in medium chain fatty acids and medium chain triglycerides that protect the skin from infections and bacteria. It contains proteins which ensure damaged skin cells get replaced regularly. It has many healthy acids and anti – oxidants along with vitamin C and E that helps to fight against the free radicals. There are several ways of using coconut oil to treat acne. We have mentioned them below with a detailed description. Before trying out the process, make sure to wash your face with a cleanser with an added benefit of acne-fighting ingredient. It boosts the effectiveness of the treatment. This face mask acts as cleanser that helps to get rid of dirt in pores, excess oil and dead skin cells. Mix 1 tablespoon organic coconut oil and 1 teaspoon baking soda to make a paste. Apply on the face and neck, rubbing in circular motions for 5 – 10 minutes. Wash with cold water and pat the skin dry. Continue applying this face mask regularly. This process soothes the inflamed, rough skin and restores the pH balance. Mix 1 tablespoon oatmeal, 3 tablespoons coconut oil and warm water. Apply this on the acne affected skin. Rub in circular motion for a few minutes. Let it sit for about 15 – 20 minutes and wash with water thoroughly. Pat dry the face and repeat regularly. This face pack helps to fight against the acne causing bacteria and clears the dirt, oil and other impurities from the skin. Mix a pinch of turmeric powder with 1 tablespoon of coconut oil. Apply this paste on the clean face and neck. Leave for about 15 – 20 minutes and rinse with cold water and pat dry. This process helps to soothe redness, inflammation and discomfort caused by acne. Mix 3 drops of tea tree oil and 1 tablespoon of coconut oil together. Apply on the face and massage in circular motions before going to bed. Leave on overnight and wash it off the next morning. This process prevents dry skin by hydrating and moisturizing it to prevent acne. It also eliminates the acne causing bacteria. Mash ½ piece of ripe banana and add 1 tablespoon of coconut oil in it. Mix well and add a pinch of turmeric powder. Apply on the face and neck thoroughly. Leave on 20 minutes to dry completely. Wash off then dry the face with a towel. This process is an overnight application of coconut oil focusing on particularly cystic acne. This process helps to provide hydration and kills the acne causing bacteria. Take enough organic coconut oil into your palms. Rub coconut oil gently in your palms to liquefy the oil and then apply this on the acne affected skin areas, massaging gently. Leave overnight and wash it off with lukewarm water and mild facial cleanser. Or steam the face by simply dipping a towel in hot water and placing it over the face so that it will open up the skin pores. Dilute 1 part of coconut oil to 9 parts of water and apply this on the acne affected areas of the skin with Q-tip or cotton swab. Let it sit for few minutes to dry and wash off with water. You can also add aloe vera gel to this oil, especially if you skin is delicate. This cream exhibits antiviral, anti-bacterial and anti-fungal properties that help to clear acne. This moisturizes and prevents excess oil on the skin. Mix organic coconut oil with kaolin powder (a fine white clay). Apply on the face and neck and leave on for few minutes to dry. Wash with water and pat the skin dry. This mask helps not only to nourish and soothe the skin, but also regenerates the skin to clear it from acne. Mix organic honey, fresh aloe vera gel and virgin coconut oil together. Apply on the face for about 20 – 25 minutes. Use a tissue to wipe the face clean. Rinse off with warm water and pat the skin dry. Using just honey and coconut oil on the face can also help. Beat an egg white and add a few drops of coconut oil. Apply this on the face as veil and let it sit for about 15 – 20 minutes. Wash it off thoroughly with water and pat the skin dry. Mix 9 drops of coconut oil in 2 tablespoons of green mud powder. Add water and stir to make a paste. Apply on the affected skin and leave for 20 – 30 minutes to dry. Wash it off with warm water and pat the skin dry. Cut a tomato into fine slices and add organic coconut oil and jojoba oil. Mix well and then blend. Apply on the affected skin and leave it for 10 – 15 minutes. Lemons are full of Vitamin C and this helps in neutralizing the body’s pH balance. It is processed within 48 hours of plucking and contains a staggering 57% of lauric acid, as compared to other products in the market which test as low as 42%. Mix solidified coconut oil with fresh lemon juice. Add essential oils like tea tree oil, lavender oil or vitamin E oil along with some vanilla extract. Mix with an electric hand mixer to get a fluffy texture. Apply this on the acne affected skin areas. Regular application will give best results. If the weather is warm, then store this in a fridge. Mix a few drops of organic coconut oil, sugar, sesame or olive oil and nectar. Apply this on the cleansed face and neck. Rub gently for a few minutes, then wash off with warm water. Dry the face and repeat this process regularly. Mix a few drops of coconut oil and carrier oil. Apply on the affected skin. Massage it gently for few minutes then wash off with water. Dry the skin and repeat daily. Yogurt cools the scraped skin and lessens the redness. Mix 7 drops of virgin coconut oil in ¼ cup of plain yogurt. Leave for 15 – 20 minutes then wash it with warm water. Dry the skin and repeat this process regularly. Follow these tips and precautions for safe and effective results. Add some coconut oil in body wash and use it in your shower. Rub it gently on the acne affected skin to treat acne. Choosing a body wash with acne-fighting ingredients can be more beneficial in treating acne. Always use organic, cold pressed and extra virgin coconut oil. Try to apply the oil before going to bed for best results. Always do a patch test first before using these remedies. You can apply this on any part of your body for good results. Mix 1/4 cup of coconut milk in a morning smoothie and have this to dissolve the excess sebum in the body to prevent inflammation and acne. It’s advisable to wash your face and hands thoroughly before applying this coconut oil to prevent the spread of oils and bacteria. This works well for other skin problems like pimples, nodules, whiteheads, blackheads and scars. Regular intake of 2 – 5 tablespoons of coconut oil orally will also help to speed up the metabolism for proper body functioning. Make sure to consult your doctor if you don’t see any results or if you’re pregnant. It is always best to use a lighter oil as a carrier oil to reduce the viscosity of coconut oil and help it absorb more easily. Exfoliating with coconut oil is crucial, as it helps to clean the skin and the debris clogging the pores. This also used as cleanser. If you don’t have time to prepare the homemade mixtures to treat acne. Then you can use commercial acne face masks which don’t contain harsh chemicals and specially formulated to treat acne. Other than using coconut oil, you have to drink plenty of healthy fluids and water, exercise regularly, relax from stress and regularly wash the face to get complete control over acne and prevent its recurrence. Hope you liked our article. Do you know any other remedies which worked for you? Please share with us. 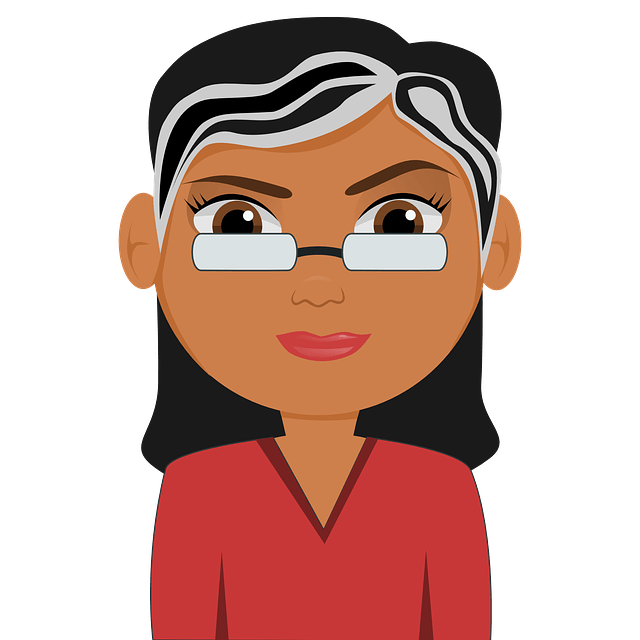 Recommended Reading – Best ingredients to treat acne. I would like to try the cocount oil with lemon moistureizer as I have a problem with acne on chin area. My question is how many drops of essential oils and vanilla extract do I make with 4 tablespoons of coconut oil please? Can I use it on all face or on the treated area only? 3 – 5 drops of essential oils and vanilla extract. You can use it all over the face. Is the coconut oil homemade scrub good to use for acne problems (chin area) please? Hello admin. please I really need your help. what is the best method to use is clearing acne totally from my face? I have tried so many products but it’s not working especially on my forehead and chin. thanks. In order to clear acne completely, you have to cure it from inside. Acne can be caused by many factors like hormonal changes and improper hygiene. Eat a nutritional diet which includes fresh fruits and vegetables. Include omega fatty acids in your daily diet. This helps to reduce the excess oil production that clogs the pores. Avoid eating oily and fatty foods. Apart from that exfoliate your face 2 – 3 times in a week. Can I mix coconut oil with tea tree oil and vitamin e oil and apply on my whole body? If yes then do I need to apply overnight or can I apply at day time? I have severe acne and acne scars on my face, arms and on my back. I tried many medications but nothing cleared out my acne and scars completely. I hope this works out. Admin please tell me if I can mix those three and if I can please tell me the proportion in which I should mix. Thank you. Combine 1 tablespoon of coconut oil, contents of 1 vitamin E capsule and 3 – 4 drops of tea tree oil. Mix well and apply it on the affected areas. Leave it on for few hours (if day time) or overnight and rinse off with water. Repeat the process 3 – 4 times in a week for effective results. I have been dealing with acne for over 30 years and I just want it to go away. I break out on my face (not too bad), my chest and upper back area which scars are left even if I don’t touch it at times. Which recipe is the best for me to use to help clear up my problem quickly. i have a combination skin ..infact i am not sure whether i have dry skin or oily skin ..but i think so i have a normal skin ..i have acne issues but not of adverse type .my skin is sensitive .so can i use a mixture of coconot oil,almond oil ,olive oil,tea tree oi land vitamin e capsule as my night cream ?